Imagine you pick up a book – it’s a single piece of content that you’re very likely to read from beginning to end. A newspaper – there’s more variety, but you’ll probably read three or four articles in full. What happens though when you get to the internet and are swamped by choice? With the sheer volume of content available online, it stands to reason that people’s reading habits are different in the digital world compared to the real world. There’s far more sifting and jumping from one page to the next – so in order for content to be successful, it’s just as important that marketers understand the mechanics behind optimising their websites, as well as the information visitors are interested in reading. The first thing to note is that you can’t hold someone’s attention for long. According to recent research by Microsoft, the age of smartphones has left humans with an attention span of only 8 seconds – shorter than that of a goldfish! In turn, that means when people read content on the web, they have a tendency to skim and scan to find the information they’re looking for. And if that information isn’t immediately apparent, they will get bored and move on. So make sure key messages stand out in some way – whether that’s with sub-headings, bullet points or bold font. 2. They don’t want to scroll! With that in mind, think also about the information you’re putting above the fold of your page – most people scanning a page won’t scroll to find what they’re looking for. That’s not to say you should continue below the fold – research shows that when a user spends time looking beyond the initial cut-off, the probability of engagement increases significantly – but you need to get them to that point first. 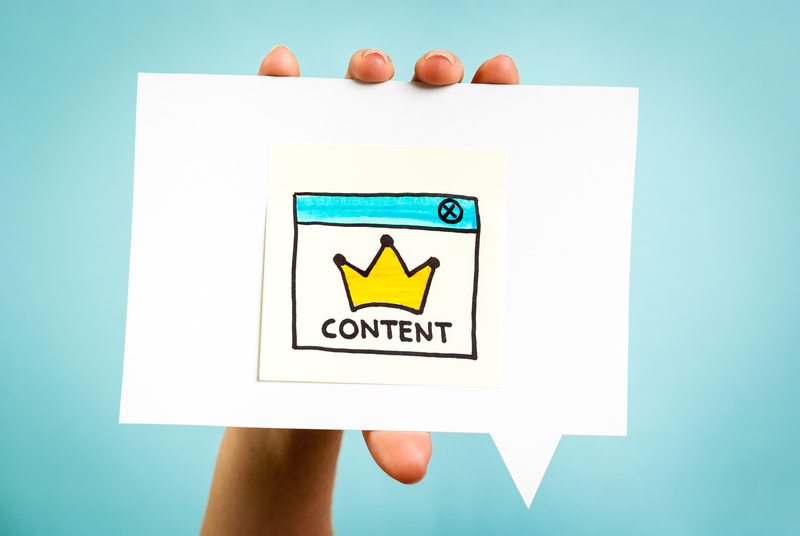 By now, you’ve probably gathered – the vast majority of people will not read your content word for word. In fact, a study by the Nielsen Norman Group found that only 16% of readers stick with you until the bitter end. On the average web page, even engaged readers will only read 28% of the words displayed at most – 20% is a more realistic figure. With that in mind, make sure your introduction answers all the immediate questions – why should I read this? What will I gain?